Many food processing companies still favour traditional vision systems over thermal imaging alternatives. In the view of systems’ integrator Thermascan, this is a pity when the cost of both types of system is virtually the same. It uses the FLIR A-Series thermal imaging cameras as the basis for its vision solutions primarily because of their flexibility. A Thermascan customer that manufactures cold food in lidded tubs provides a good illustration. The existing visual camera-based system was employed for quality control on the packing line but, due to the thinness and transparency of the lid, the system couldn’t detect whether the lid had been successfully applied to the tub. This inability caused considerable wastage and for a volume food processor this is a costly exercise. 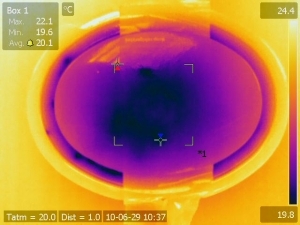 The FLIR alternative effectively detects the minute difference in temperature between a tub with a lid and one without, >2°C. This temperature difference activates an alarm and automatically stops the line allowing the defective product to be removed. In this way, only single products are scrapped - not entire batches - and any production downtime is substantially minimised. The success of this system however was not just its detection ability. 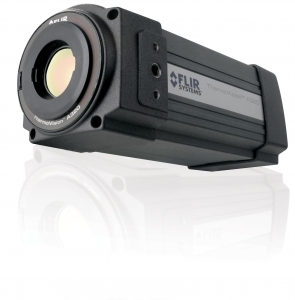 The FLIR camera’s I-O ports allowed it to be easily linked to the established vision system.